Please welcome Peter Vajda, a frequent commenter on this blog, and a respected thought leader, coach, writer, and co-founder of SpiritHeart. I’m delighted to yield the floor to him for one of his many fine articles. All of life is relationship – even life at work. And the most critical, foundational building block of a team is trust. 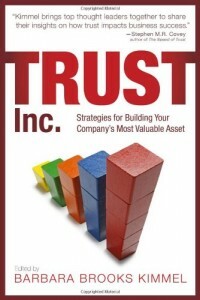 Without trust most teams are really disparate collections of individuals called groups. The element that creates or erodes trust is your individual behavior. Trust can support teams to go the extra mile, work for the greater good of the team and the organization, foster open and honest communication and engender mutual respect and support. Distrust, on the other hand, often stems from a "me first" mind-set that leads to destructive conflict, egoism, and a "going through the motions" attitude. Trite and worn it may be, but "There is no ‘I’ in team" is a fact of life at work. 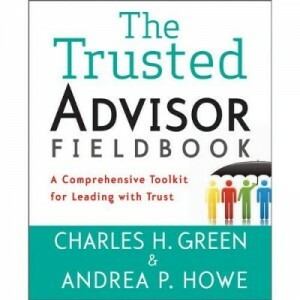 When trust is lacking among team members, they spend inordinate amounts of time and energy resisting others’ inappropriate behaviors, reacting to others’ disingenuousness, playing politics, resisting meetings, and feeling reluctant to ask for, or to give, support. In a culture characterized by mistrust, relationships suffer. And when relationships suffer, performance, production and profits suffer. How might you be contributing to mistrust on your team? 1. You fail to keep your promises, agreements and commitments. 2. You serve your self first and others only when it is convenient. 3. You micromanage and resist delegating. 4. You demonstrate an inconsistency between what you say and how you behave. 5. You fail to share critical information with your colleagues. 6. You choose to not tell the truth. 7. You resort to blaming and scapegoating others rather than own your mistakes. 8. You judge, and criticize rather than offer constructive feedback. 9. You betray confidences, gossip and talk about others behind their backs. 10. You choose to not allow others to contribute or make decisions. 11. You downplay others’ talents, knowledge and skills. 12. You refuse to support others with their professional development. 13. You resist creating shared values, expectations and intentions in favor of your own agenda; you refuse to compromise and foster win-lose arguments. 14. You refuse to be held accountable by your colleagues. 15. You resist discussing your personal life, allowing your vulnerability, disclosing your weaknesses and admitting your relationship challenges. 16. You rationalize sarcasm, put-down humor and off-putting remarks as "good for the group". 17. You fail to admit you need support and don’t ask colleagues for help. 18. You take others’ suggestions and critiques as personal attacks. 19. You fail to speak up in team meetings and avoid contributing constructively. 20. You refuse to consider the idea of constructive conflict and avoid conflict at all costs. 21. You consistently hijack team meetings and move them off topic. 22. You refuse to follow through on decisions agreed upon at team meetings. 23. You secretly engage in back-door negotiations with other team members to create your own alliances. 24. You refuse to give others the benefit of the doubt and prefer to judge them without asking them to explain their position or actions. 25. You refuse to apologize for mistakes, misunderstandings and inappropriate behavior and dig your heels in to defend yourself and protect your reputation. By contrast, when you authentically show up in integrity, and allow your vulnerability to show, others see you as genuine, warts and all. As such, your teammates will begin to trust you and gravitate towards you as you have created a personal container of safety in which others feel they can relate to you in an equally genuine fashion. Communication and true teamwork are functions of trust, not technique. When trust is high, communication is easy and effortless. Communicating and relating are instantaneous. But, when trust is low, communicating and relating take effort, and are exhausting, and time and energy consuming. Are you guilty of contributing to mistrust? "The chief lesson I have learned in a long life is that the only way to make a man trustworthy is to trust him; and the surest way to make him untrustworthy is to distrust him and show your distrust." My computer was recently stolen, then returned. It says something about trust.